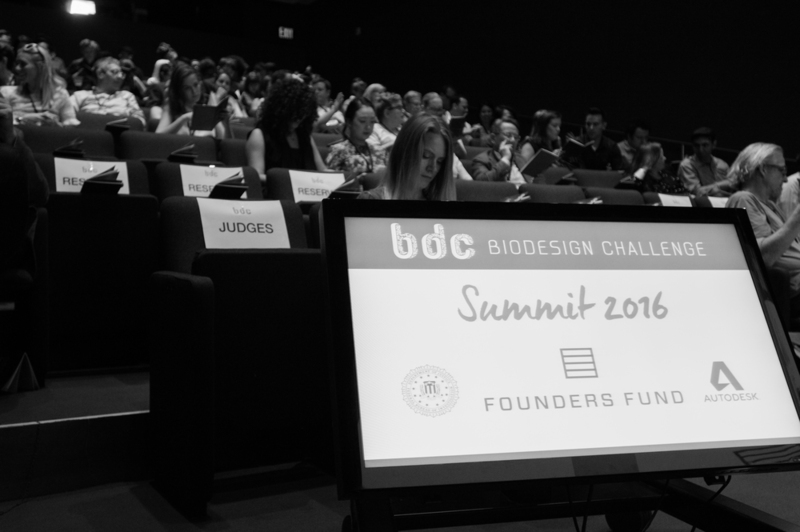 NEW YORK, June, 23, 2016 -- The Biodesign Challenge (BDC), a university competition that asks college students to envision new ways to harness living systems and biotechnology, announced its winning teams at the Museum of Modern Art (MoMA) in New York City. The teams, chosen from more than 130 participating students, showcased projects at MoMA's Celeste Bartos Theater during the daylong summit. Keynote speakers included Paola Antonelli, MoMA's senior curator of architecture and design, and Suzanne Lee, creative director of Modern Meadow and founder of Biofabricate. The student projects are on display at School of Visual Arts in New York City at a gallery show called Our Biotech Future(s): Student Projects from the Biodesign Challenge, which runs until July 1st. Learn More.